Panic Disorder Treatment: Panic disorder is a form of anxiety disorder. Like many mental health conditions, it can be subtle or extreme. 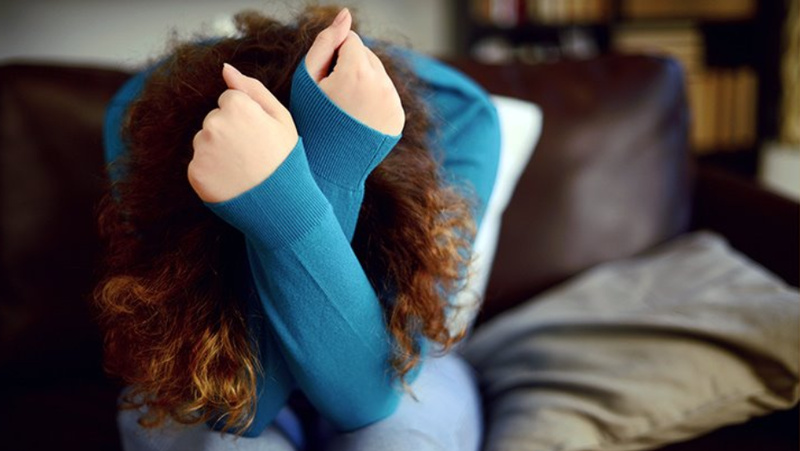 Today, we want to take a look at the severe panic attack symptoms and treatment options available. Panic Attack Symptoms & Treatment Options – Not only do you actually get terrifying panic attacks that leave you hyperventilated and incredibly anxious, but you have to live with the overarching fear that something might happen to trigger your next attack, and the constant stress of knowing you could get hit by another wave only serves to make the panic disorder symptoms that much more horrible to deal with. So yeah, panic disorders are no fun. But they’re treatable, like so many other mental illnesses. Tackling a panic disorder takes time, understanding, and a lot of diagnostic work. There is no “simple” way to taking on a panic disorder symptoms and panic disorder treatment, because of the individual triggers and circumstances regarding a person’s panic attacks. Like trauma, a panic attack symptoms is a very delicate stress disorder that must be approached with care. If you or someone you know has recently been diagnosed with a panic disorder, then you probably know just how disabling panic attacks and the fear of them can be. But better understanding panic, and how therapy and panic disorder treatment are supposed to help, can give you the hope you need to feel confident about ending your symptoms and living without the fear of another attack. What is Panic Attack Symptoms? A panic attack symptoms, or anxiety attack, is different from pure hyperventilation or a life-threatening heart attack, but similar enough to pose a concern for many. While heart attacks are typically physically-based and involve a problem with the heart as a functioning muscle, and hyperventilation is a symptom or physical response often accompanying a full-blown panic attack, panic attacks themselves are psychological and can best be described as an overreaction of your adrenal system, reacting to what may sometimes amount to nothing. Prescribing the right medication is typically the first step to combatting a panic disorder. This is because the medication has an immediate effect on a client’s quality of life, and lets them reduce the symptoms of their disorder from debilitating to troubling in a short amount of time. At first glance, it would be easy to assume that antidepressants don’t necessarily affect the frequency of panic attack symptoms, but help reduce their effect on your psyche – after all, they’re meant to make up for the natural loss or lack of neurotransmitters in cases of major depression. But recent research has shown that antidepressants have proven usability in several mood disorders and anxiety issues. The effect they have on your neurotransmitters not only fends off the panic attack symptoms of depression but works to soothe anxiety and reduce the frequency of panic attacks by keeping you calmer. Antidepressants aren’t your only drug option for fighting with panic attack symptoms. Another common form of medication is the beta blocker. Beta-blockers affect epinephrine, a previously-mentioned neurotransmitter that specifically deals with the release of adrenaline. Basically, the idea is that beta blockers keep you from entering a state of flight-or-fight, effectively reducing the effect and occurrence of panic attacks while opening your blood vessels to decrease blood pressure. There are some issues with beta blockers – specifically, they can cause fatigue and shouldn’t be used in cases where clients also suffer from respiratory and circulatory issues. The thing about medication of panic disorder symptoms is that it works pretty damn quickly – but it’s not a necessity or even a guaranteed solution. Antidepressants have had a controversial history of sometimes causing suicide rather than preventing it. It’s important to note that there are many different drugs out there, and some work far better than others. Over the long-term, however, lifestyle changes, therapy, and alternative panic disorder treatment are far more important after detect panic disorder symptoms. But that solution doesn’t last for very long. In the long-term, medication carries with it the risk of side effects, dependencies, and other issues. Moving away from panic disorder medication is not just a possibility, but a goal. The most commonly-prescribed long-term panic disorder treatment solution is psychotherapy. Psychotherapy, a form of talk therapy, is a session-by-session treatment plan that involves conversation between you and your therapist to delve deeper into the possible causes and triggers for your panic disorder symptoms or anxiety disorders. Part of talk therapy is dedicated to better helping you understand your own psyche, and your condition, and the way it affects you. The other part involves arming you with exercises, self-care tips, and healthy coping mechanisms to help you reduce the incidence of panic attacks, end self-destructive or doubting behavior, and help you create a stable support system with your family. Lifestyle changes are also integral for a long-term transition away from medication. While SSRIs and other assorted drugs help inhibit the brain’s excessive reuptake of serotonin and other neurotransmitters, better food, more exercise and increased exposure to fresh air and sunlight can also help you improve the amount of serotonin and dopamine in your system, and further boost your psyche through improved self-esteem and confidence. So its very important to change your lifestyle after Detect Panic Disorder Symptoms. Other habits, like cutting out social media use, limiting internet use and incorporating more frequent walking, reading, and cooking overtaking the elevator or escalator, watching TV and eating takeout can further boost your physical health and improve your ability to focus, think, and be mindful – qualities that can make a real difference when tackling panic attack symptoms. Alternative panic disorder treatment can also help, depending on your circumstances and how well you react to them. If therapy isn’t doing the trick for you, then perhaps cutting-edge solutions like EMDR and brainspotting, or more esoteric practices like acupuncture can help. Modern mindfulness training and meditation can also help you sharpen up your focus and fight against the unnatural urge to worry and stress out. Or at the very least, it can be. That’s why it’s really, really important not to be disheartened or discouraged by what might look like a lack of progress. Trust me – so long as you keep at it, you’ll find that looking back the difference made by your panic disorder treatment option will become more apparent. It’s not that therapy won’t seemingly help at first – it absolutely will. And that’s why it can be a little hard to press on with panic disorder treatment – because in cases where you’re struggling with panic attack symptoms for months or years at a time, that initial progress will slow down, and you’ll often slog your way through to unnoticeable milestones. How Long It Will Take To Get Rid Of ?